Tesla has refunded nearly a quarter of prospective customers who had put down a deposit for the Model 3, according to data analyzed by marketing firm Second Measure. The findings suggest that customers who hoped to own a more affordable version of Tesla’s luxury electric cars are growing disenchanted and giving up after repeated manufacturing delays. 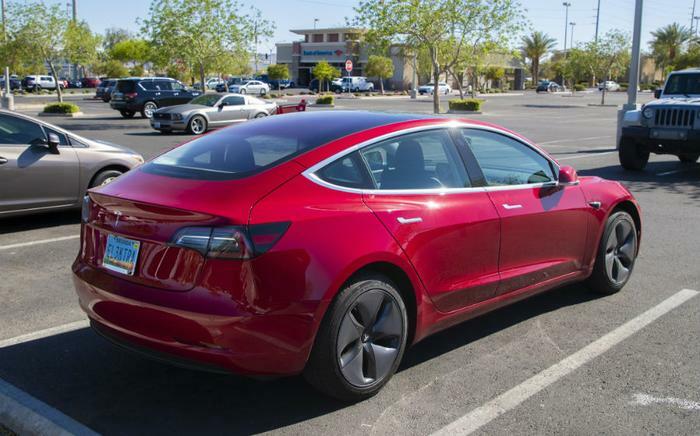 Tesla’s hyped Model 3 was billed as the company’s first mass-market vehicle, with the base price set at $35,000 -- a fraction of the price set for one of the company’s Model S or Model X vehicles, which cost upwards of $100,000. Production had yet to start when Tesla began collecting $1,000 deposits from buyers two years ago. Since then, nearly half a million people have put down deposits to reserve the cars. But repeated delays and testimony from stressed and tired workers suggest that the company is unable to meet consumer demand. Tesla has allowed consumers who made the $1,000 deposit to receive a refund up until they customize the car, which requires an additional $2,500 deposit. The company admitted last year that 12 percent of the Model 3 early-adopters had asked for a refund. Since then, Tesla has been “tight-lipped” about its refund rate, reports Second Measure, noting that nearly two-thirds of customer orders are either still waiting in the Model 3 queue or actively waiting for a refund. With 23 percent of deposits having been refunded already, according to the firm’s analysis of company figures, deposits for the Model 3 are now being refunded faster than they are coming in. A Tesla spokesman told Recode that Second Measure’s findings were incorrect but would not be more specific about what Tesla’s own internal sales data shows.